Home > Browse > СПИД - случайные связи. AIDS – random sexual contacts. [Translated by Nadia Gribkova]. AIDS – random sexual contacts. 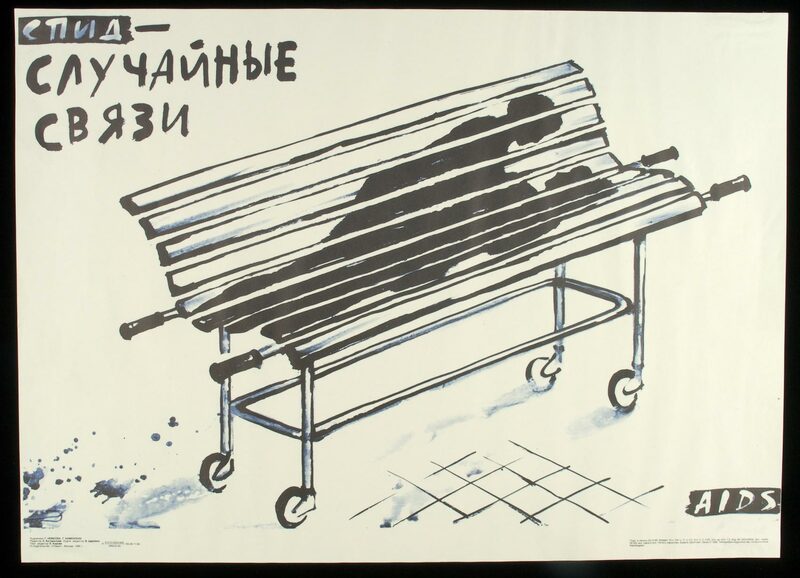 Drawing of the silhouette of an embracing couple lying on a park bench. The bench has handles and wheels like a hospital or mortuary gurney.